A STRICTLY LIMITED EDITION OF 45 HAND-NUMBERED COPIES. November 14th this year is the centenary of the death of Hector Hugh Munro, better known as Saki. He was killed at the Somme, where he was serving as a Corporal, having refused a commission. He was forty-five. 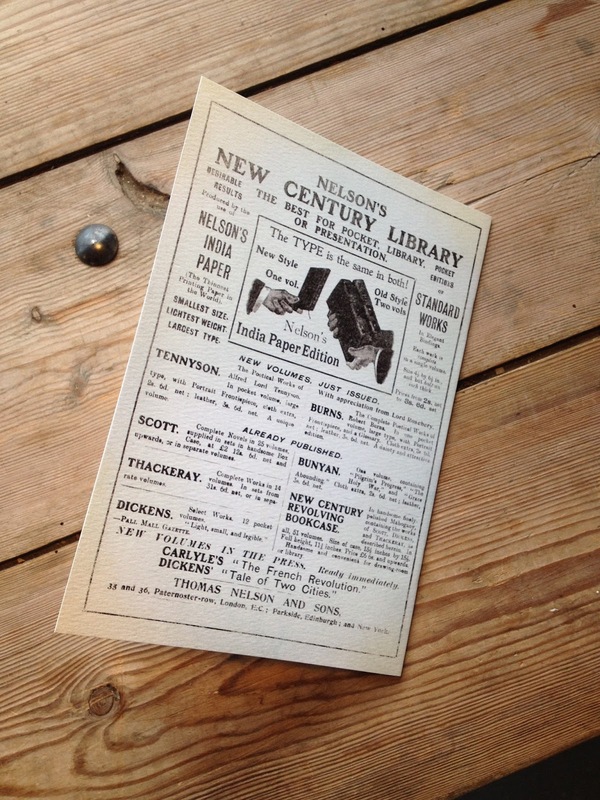 To commemorate the centenary, I'm pleased to announce a limited edition booklet, which returns a previously forgotten Saki piece to print, for the first time since it was originally published in 1902. 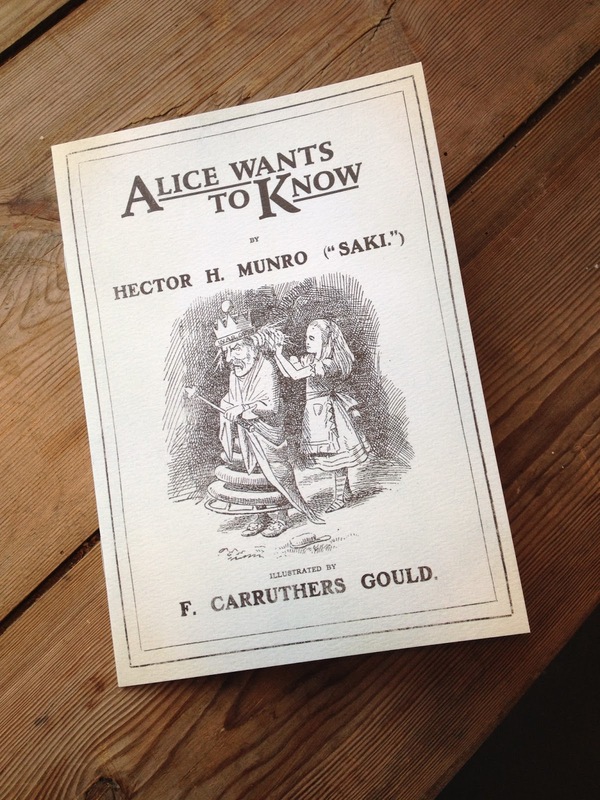 Whether you're a Saki aficionado, or an Alice/Lewis Carroll collector, it's definitely something for the completists! It was The Westminster Alice that introduced Saki to the world. 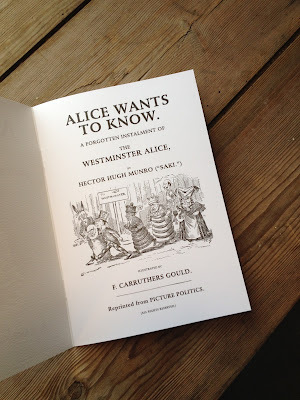 The Wonderland-inspired skewering of the political scene, together with the perfect illustrations by F. Carruthers Gould (with apologies to Tenniel) was a huge hit for The Westminster Gazette, which soon brought the series of vignettes together in a paperbound edition. Possibly to coincide with this collected edition, Munro and Carruthers Gould produced an encore appearance for their Alice, in an issue of the Westminster Gazette offshoot publication Picture Politics, several months after the last instalment, ‘Spade in Wonderland’ had been published. This piece, ‘Alice Wants to Know’ — complete with its illustration — was destined to be forgotten, and has never been included in any subsequent collected edition of The Westminster Alice. It is returned to print now for the first time, along with another never-reprinted, non-Alice political squib by Saki, ‘Government By Picture-Postcard’. 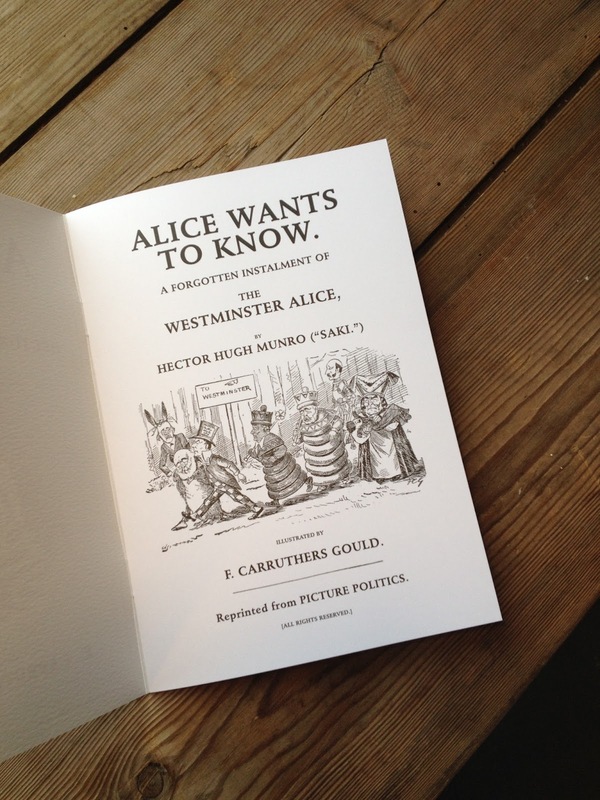 Thanks to the talents of Martin Stiff at the design studio Amazing 15, the booklet has been beautifully laid out to mimic the design of the original paperbound collected edition of The Westminster Alice, right down to the contemporary ads on the back cover. The booklet is printed on heavy, 160gsm uncoated paper, 8pp plus the colour cover, printed on 250gsm Rives Shetland paper. There are 45 hand-numbered copies for sale. 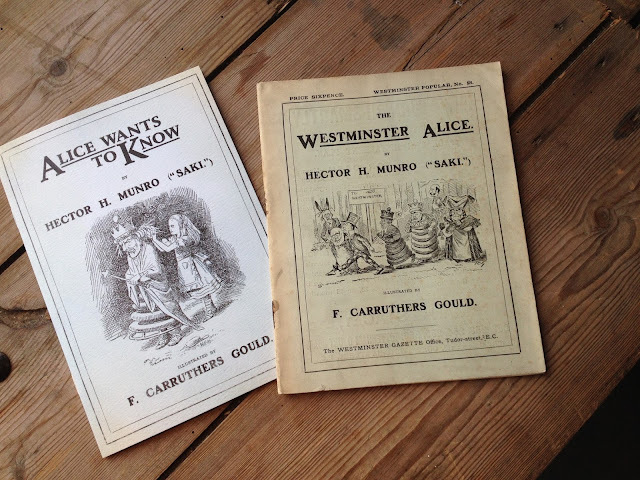 Copy number 1 *only* is sold together with an original copy of the paperbound edition of The Westminster Alice (pictured). PRICE: £45 (including UK P&P) NB: THIS HAS NOW SOLD. I will reply to confirm availability, and to process payment (which will be by PayPal only: when you email me, if you confirm your email address connected to your PayPal account, I will simply send you a Paypal invoice, subject to availability of course). Copies will be sold on a first-come, first-served basis. For non-UK orders, please supply me first with your address, so I can give you a postage-inclusive price. Saki fans should also feel free to take a look at the Saki Centenary Facebook Page.